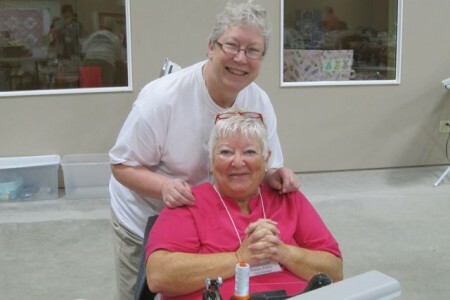 Quilt retreats are all about fun! When I host a retreat, we usually have between 45 and 55 women. I bring along my trusty staff–also known as Connie and Robin. They’re there to lend a hand. like whenever someone finishes a project. We make sure they hold up their quilt and get a big, “Tah-dah!” I thought I’d share the recent Tah-Dahs with you. This is Kathy’s Friendship Star. I love the Twisted Ribbon border. 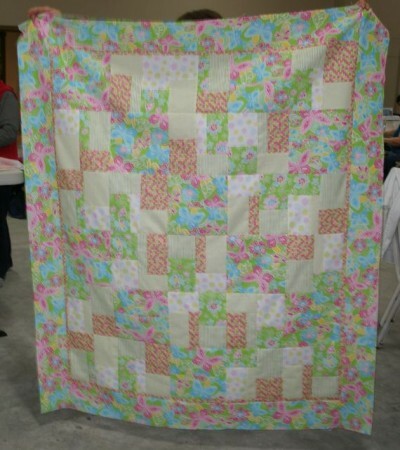 Denise’s quilt is Pretty in Pink. 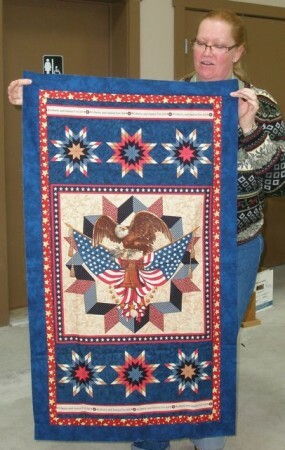 Sue is obviously in love with her 6100 quilt. Penny finished her Garden Twist. 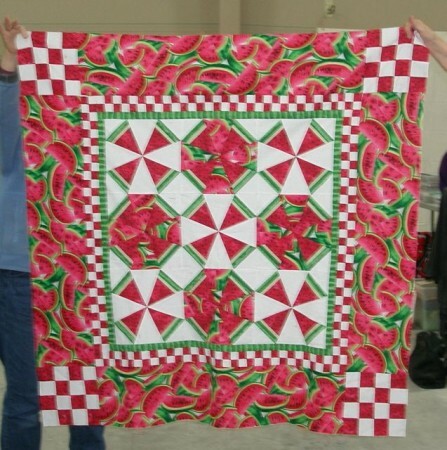 This is Barbara’s Watermelon quilt. I think it would make a great table topper. It was April Showers for Judy. 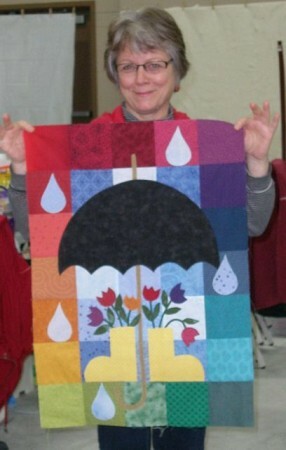 Marsha started this quilt at the last retreat, and now it’s finished! 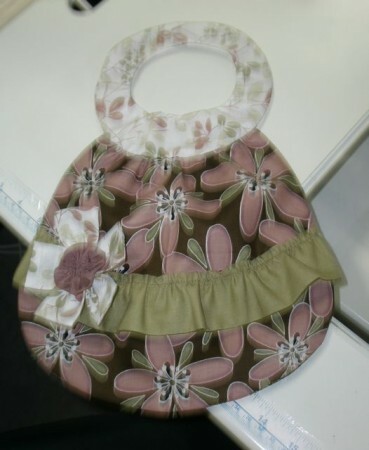 Isn’t this the most adorable bib you’ve ever seen? 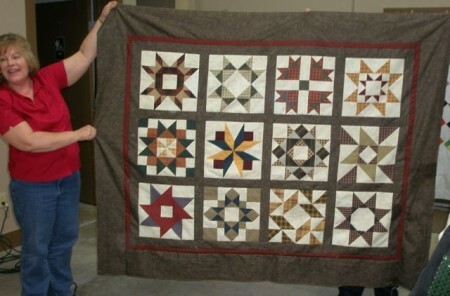 Here’s Kathy’s pretty Star Sampler. 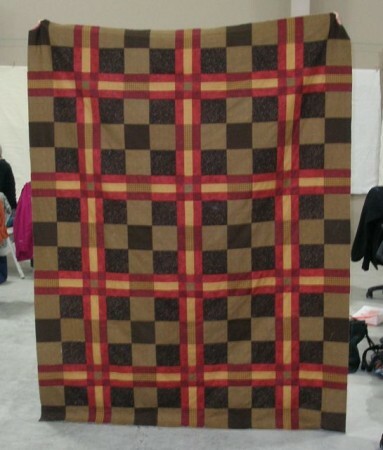 Nan finished her Plaid quilt. 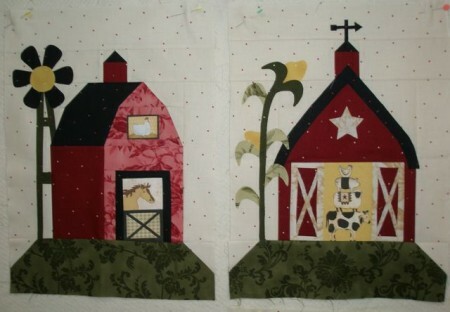 Jean was piecing and appliquéing these whimsical barn blocks. 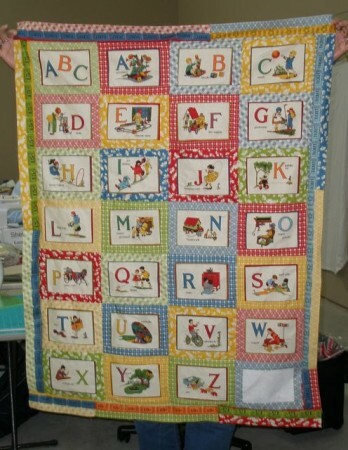 Mary got this Alphabet quilt finished. 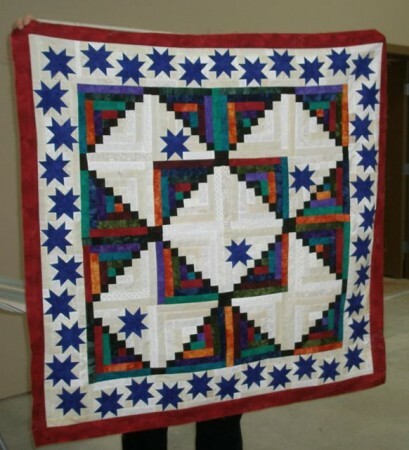 Suzie got the borders on this great Star quilt. 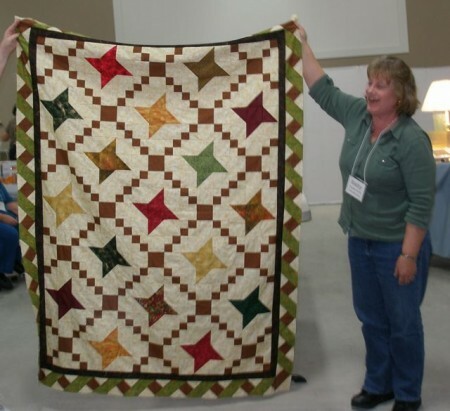 This Log Cabin/Star quilt by Sue really pops! 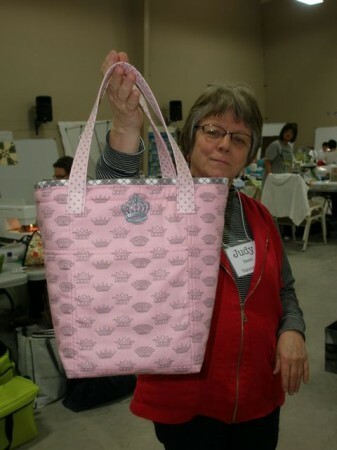 Judy made this Princess Lunch Bag for a co-worker! 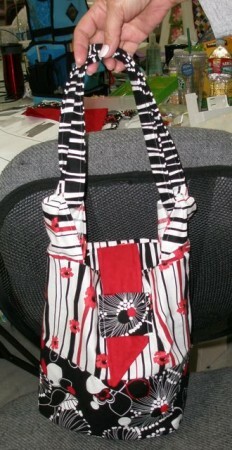 If I remember correctly, Pat P1 made this bag that holds a hot iron. 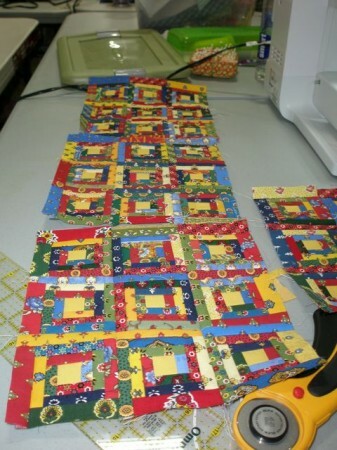 Anina was working on these tiny Log Cabin blocks with yummy Provence fabrics. 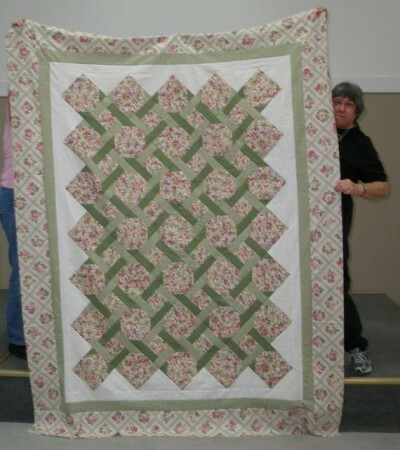 I think that’s Tracey behind this pretty quilt. 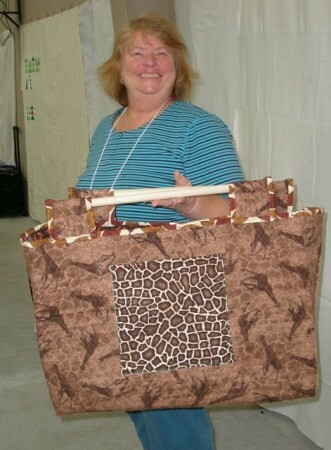 Pat T. made her Quilt Tote start-to-finish during the retreat! 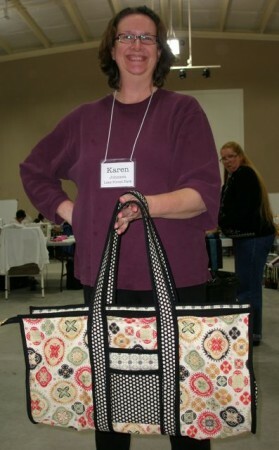 Karen J. made this cool tote. 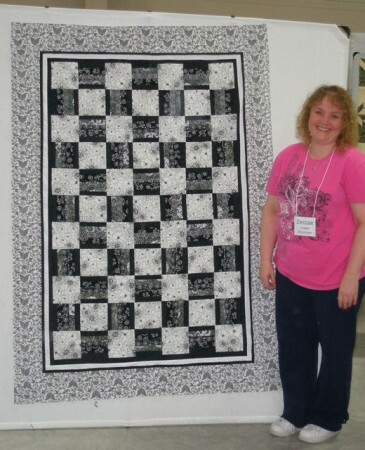 Denise got her black and white quilt finished. …and this was the first of Stephanie’s Tah-dahs! I just love seeing all the happy, proud faces!